if anyone can help me out for below topic. 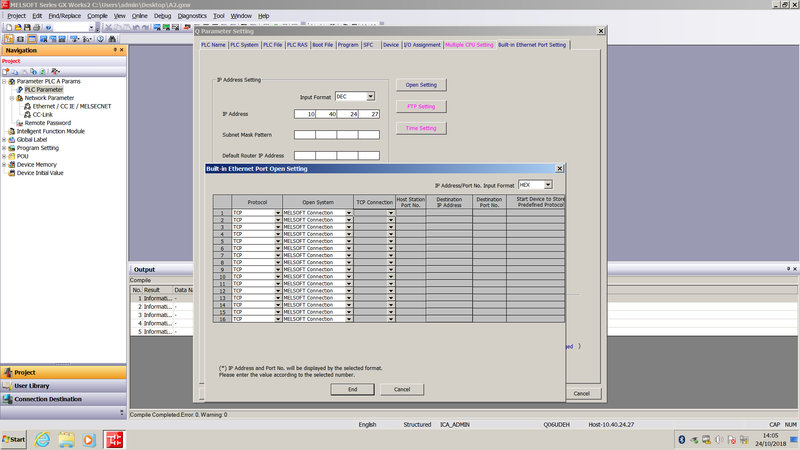 I am trying to communicate E1101 hmi with Q06UDEH PLC but its giving me continuous communication error. 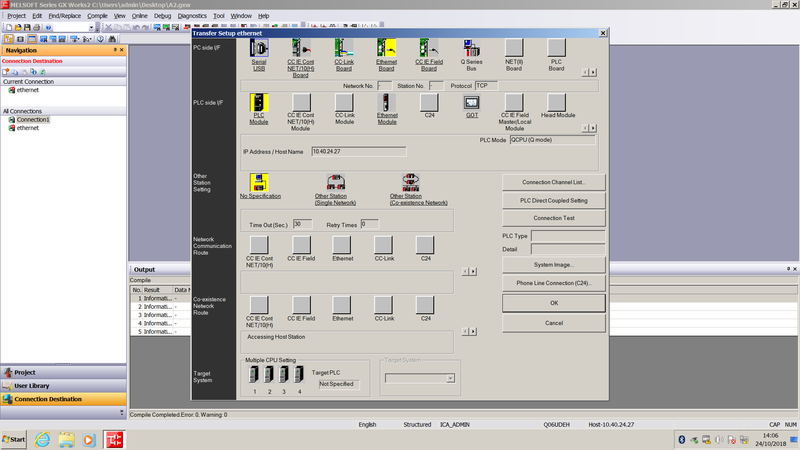 i am using e designer for hmi and gxworks2 for programming. i am attaching the communication screen shots for both,i am quite stuck at this point as i have used all options still not able to solve it. if anyone can help me out with this,help is much appreciated. You are using the wrong driver. that one is for using a QJ71E71 card card. You are using the CPU Ethernet card. 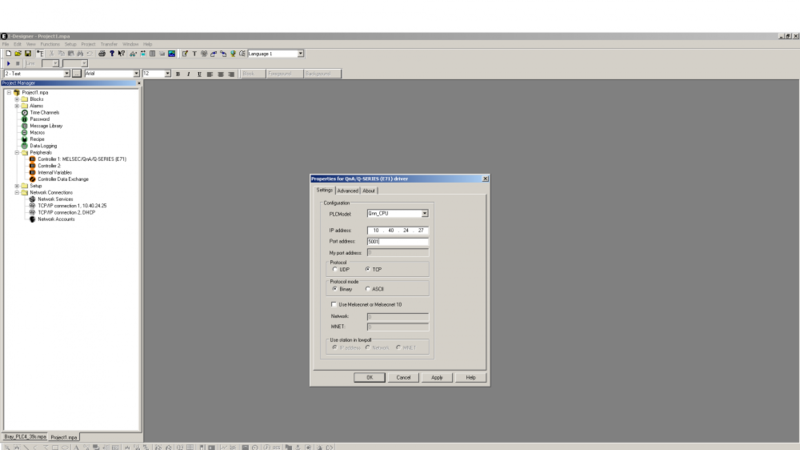 When double clicking the MC protocol you can setup TCP or UDP and one or more Q PLC's IP adresses and port nrs..
Be aware that in E-designer de port number is set in Decimal and in GX Works in Hex. (you can change this into Dec in the top right corner). i updated the driver nd downloaded mc protocol,nd using that i am able to achieve that.